Rex Ryan guaranteed a Super Bowl victory for the New York Jets. In other shocking news, Rex Ryan loves feet. Antonio Cromartie has kids. Mark Sanchez loves hot 17 year olds. This is just tired. We get it, Rex. You love attention. You love to take the attention away from your team. Apparently, you love to take the attention away from every potential player that could ever be on your team at the NFL Scouting Combine too. 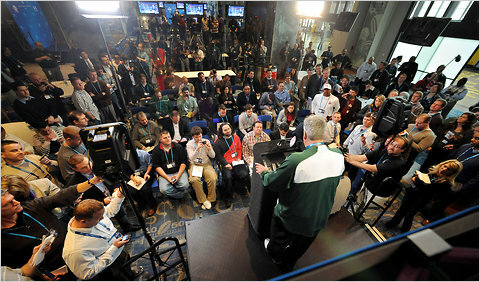 Like a moth drawn to a flame, the media gathered around to hear Rex say, “I guarantee we’ll win it this year.” How many Super Bowl wins have you guaranteed now? Two, three, four? I lost count, dude. 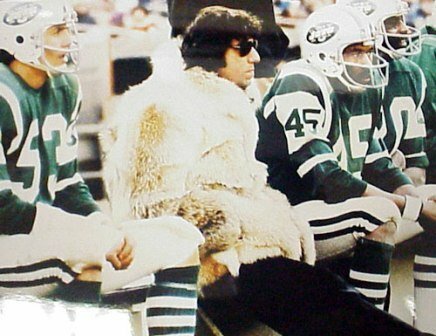 Broadway Joe did it ONE time, and backed it up…that’s what made it awesome, and they were a huge underdog. The New York Jets have been in the AFC Championship game for two straight years… you’re not a freaking underdog, Rex. It’s rare that I’m speechless, but when I am, I more often than not find myself turning to the classic movies of our generation for wisdom. 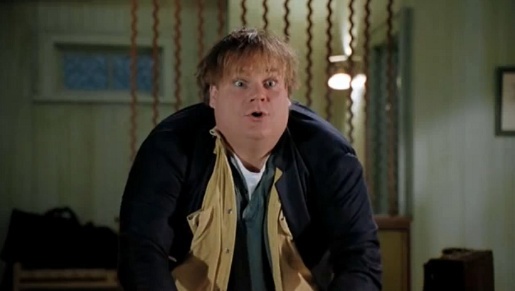 Rex Ryan’s words can easily be summed up by one of the great philosophers of our time…Tommy Boy. Why would Rex Ryan guarantee yet another Super Bowl victory? “Because they know all they sold ya was a guaranteed piece of sh*t. That’s all it is, isn’t it? Hey, if you want me to take a dump in a box and mark it guaranteed, I will. I got spare time.” Kinda rude to take a dump in a box in front of the national media, Rex. This entry was posted in Football, Movies, NFL, Sports and tagged AFC Championship, Antonio Cromartie, Broadway Joe, Joe Namath, Mark Sanchez, New York Jets, NFL, NFL Scouting Combine, Rex Ryan, Ryan Ryan guarantees Super Bowl Victory, Super Bowl, Tommy Boy. Bookmark the permalink.